The Ambassador for Human Rights of the World Evangelical Alliance and Director of the International Institute for Religious Freedom presented the concerns of Christians in a one-hour meeting with the Muslim President of Albania, Bujar Faik Nishani. Schirrmacher thanked the president and the Albanian government that the relatively new Albanian Evangelical Alliance has been officially recognized by the state. Now is a good time for both church and state to recognize that the once closed churches can be good citizens. Because the Albanian Evangelical Alliance did not exist before 1989, it is not directly involved in the complex and partly discriminatory process of restituting church properties that were nationalized by a previous regime. Nishani and Schirrmacher first met in June 2013, on the occasion of a visit of Nishani to Berlin. Nishani was elected president in 2012, before which he had been Interior Minister and Justice Minister in Albania. In preparation for this meeting Schirrmacher met with church leaders of various confessions. This included two discussions with the head of the autocephalous Albanian Orthodox Church, Metropolitan Archbishop Anastasios Yoannoulatos. In a further discussion after the meeting with the president, the Archbishop thanked the World Evangelical Alliance for its engagement on behalf of his church. 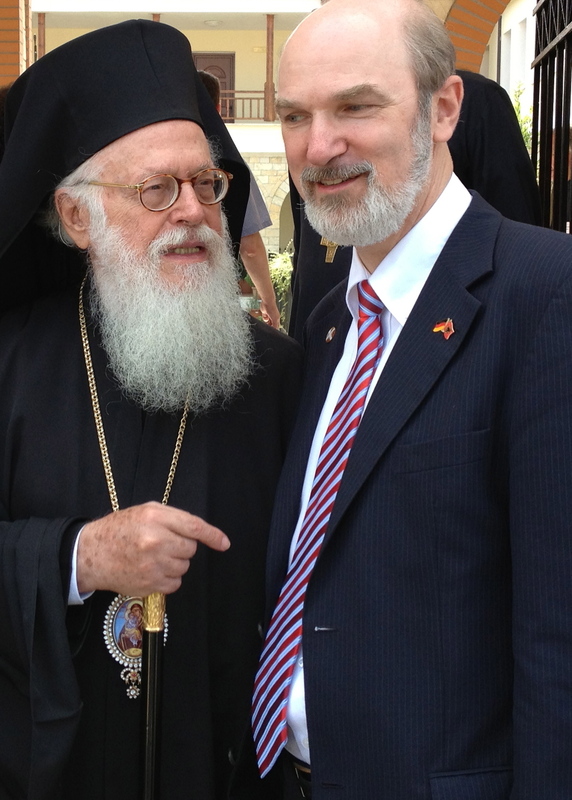 Archbishop Anastasios spent many years as a theology professor in Athens. Previously he developed Orthodox mission work in Africa and worked on an Orthodox theory of missions. In 1992 he accepted responsibility for the almost totally destroyed Orthodox Church in Albania, which he has redeveloped. From 1984 to 1991 he was chairman of the Commission for World Missions and Evangelism of the World Council of Churches. Since 2006 the Archbishop has also been one of the presidents of the World Council of Churches.